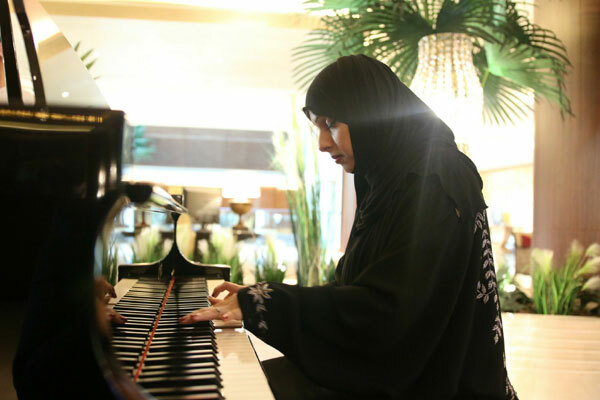 Dusit Thani Abu Dhabi marked the 46th UAE National Day with an evening of entertainment at its luxurious Orchid Lounge where guests were serenaded by Eman Al Hashimi, a renowned Emirati pianist and the UAE’s first female music composer. The event started at 6:30pm and was attended by guests from numerous nationalities. The concept received widespread appreciation from everyone for encouraging the local Emirati women’s talent in the field of music and arts.